Modernize is here to help if it's time to replace your windows and you need replacement windows in Austin, TX. Giving your home some upgraded new windows adds a little love and attention that could be just what you need to enhance your home. We love helping homeowners find the best contractors in their area. Find trusted local window installers today! Get free quotes from the best window replacement contractors in Austin, TX, ready to complete your project. High quality windows are built to last, but even the best windows will need to be replaced eventually. As windows get older, they become difficult to open and close, or you may find moisture between the window panes. Some windows may even begin to allow moisture or air to leak into your home. All of these things are signs it is time to buy new windows for your home. Replacement windows are a significant expense, but will save you money overtime. When you upgrade to energy efficient windows, you can expect to save on utility costs. In order to ensure you are saving as much as possible, it is important to buy windows that are designed specifically for the climate in Austin. In addition to considering the climate where you live, you will want to educate yourself concerning the permit and licensing requirements put in place by the city as well as the basic information about the operational and design options available to choose from. No matter where you live in the United States, there is basic information you need to understand about purchasing windows. First, it is important to understand the difference between replacement and new construction windows. Replacement windows work best for projects where there won’t be any construction on the surrounding wall, since they are specifically designed to fit into the space left behind by your old window. In comparison, new construction windows have to be secured directly to the studs of your home so they only work for projects where the frame will be exposed. Next, it is important to think about how you want your new windows to operate in your home. If your goals is to find fully operational windows that open for ventilation but also effectively protect your home from the elements while closed, a double-hung window could be a great choice. Double-hung windows have two sashes which are hung vertically. Both sashes are operational, one sliding upwards to open and the other downwards to open, and they tilt inwards for easy cleaning. If ample natural light is what you are looking for, a non operational window such as a picture window or an arched window would be a great choice. Lastly, you will want to choose the design elements that will fit best in your home. Window frames are available in wood, vinyl, aluminum, and fiberglass and each of these materials are available in a wide variety of colors and finishes. You will also have the option to choose from multiple glass grid designs and hardware finishes. If you don’t plan to install your replacement windows yourself, you will need to find a reliable contractor to install your new windows. The City of Austin requires any contractor making major alterations to homes to have a general builder’s license. This license can be obtained from the Development Services Department and it must be registered with the state government. Contractor’s who have employees working under them must also carry workers’ compensation insurance that will cover any medical expenses or costs associated with missed work if an employee is injured while working on your home. Once you have hired a contractor, they will need to purchase a building permit for your window replacement. This can be done by filling out an application provided by the City of Austin on their Development Services Department website or by calling 512-974-2000. The city of Austin currently sponsors a window replacement assistance program called, Go Repair! This program is available to low and moderate income households within Austin city limits. Homeowners who meet the eligibility qualifications as outlined on the Neighborhood Housing and Community Development website can receive assistance covering all or a portion of the costs associated with specific home repairs. Window replacements are included in the assistance program if the current windows pose a threat to the health or safety of those living in the home. Since tax credits and rebates for energy efficient home improvements expired in 2014, homeowners who do not qualify for assistance through Go Repair! will need to use conventional methods for financing their window purchase. Whenever possible, save up and pay cash for home improvements. In cases where you are unable to pay cash, you can also finance your purchase by applying for a zero interest credit card or a home equity line of credit. Although window prices differ significantly based on brand, materials used, and operational style, you can create a loose budget using cost estimates provided below. 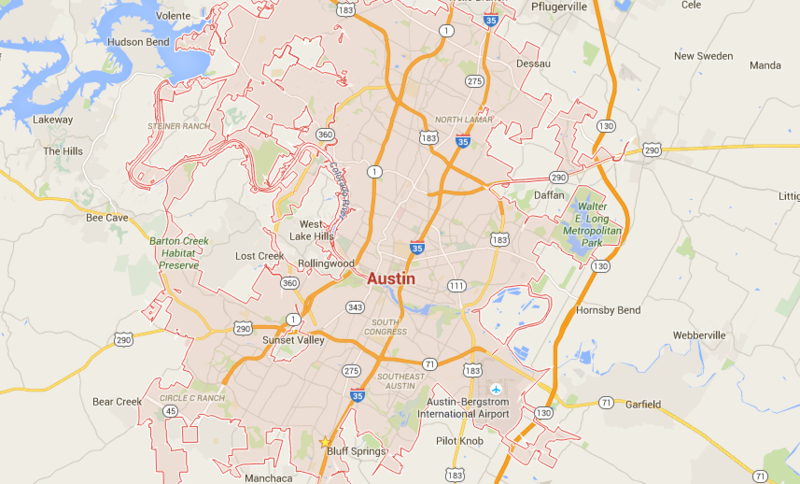 Austin is located in the Southern Climate Zone as indicated by ENERGY STAR®. This means, homeowners typically rely heavily on their cooling system and very little on their heating system. Austin is known for humid and very warm summers, with an average high of 97 degrees in August. The winters in Austin are mild, with an average low of 42 degrees in January. Since summers are hot and humid in Austin, it is important to find a window that is designed specifically for the climate. The easiest way to understand the energy efficiency of a window is by understanding the ratings listed on the National Fenestration Ratings Council that is placed on every window. The first rating on the label is the U-Factor, a number that indicates the amount of heat to enter or leave a home through the window. A high U-Factor means the window allows a lot of heat to pass through window in either direction, making it an inefficient window. In Austin, ENERGY STAR® requires all replacement windows purchased to have a U-Factor rating of 0.40 or less. The second rating on the label is the Solar Heat Gain Coefficient, a number that indicates the amount of solar radiation that can pass through a window. In hot climates like Austin, this is the most important rating to take into consideration since solar heat passing through a window can overheat a home. A low Solar Heat Gain Coefficient rating is best in Austin, and ENERGY STAR® requires a rating of 0.25 or less. Also on the label are the Air Leakage rating and the Visible Transmittance rating. Visible Transmittance is a number that indicates the glass area and the view it provides. ENERGY STAR® doesn’t have Visible Transmittance ratings for Austin homes, so you can make this decisions based solely on your own preferences. The last rating, the Air Leakage rating, represents the amount of air that is able to pass through the window. In Austin, ENERGY STAR® requires all replacement windows purchased have an Air Leakage rating of 0.30 or less. As an Austin homeowner, the expense of replacing old windows is one that will save you money in the long run. When you buy windows that meet ENERGY STAR® requirements, you can expect to save as much as $266 in heating and cooling costs each year. You will also be making a big step towards a more sustainable way of life since you will be decreasing your use of nonrenewable energy sources.